Six university and school students won the Ukraine-wide contest of essays “Ways of Understanding”, devoted to the search for causes of intolerance in Ukrainian society. 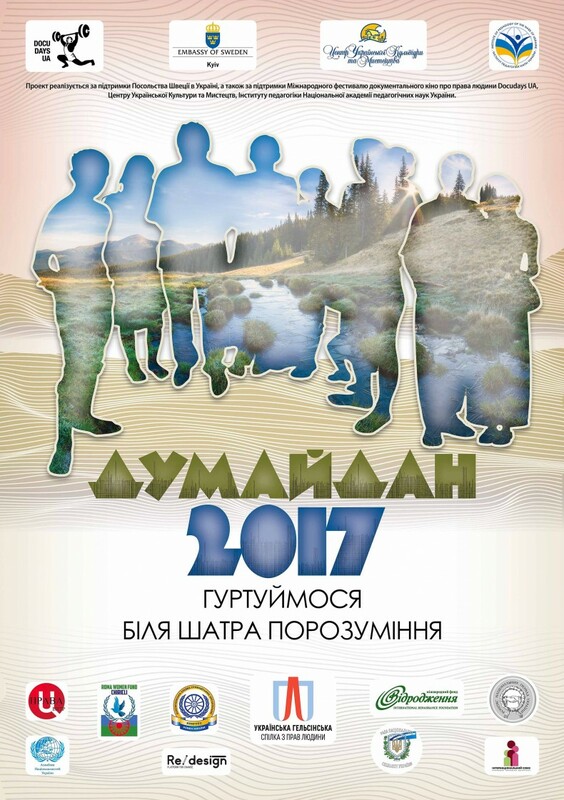 27 students from Ukraine and one from Bulgaria took part in the contest, which was conducted within the framework of the project “Dumaidan-2017: Getting Together around the Tent of Understanding” in order to encourage young people to reflect on tolerance, peaceful coexistence, seeking ways of understanding between people from different ethnic groups and cultural traditions. The geography of the participants of the competition was very wide: we received essays from such cities as Kyiv, Ternopil, Lviv, Kharkiv, Mykolaiv, Kramatorsk, Odesa, Izium (Kharkiv Oblast), Slavuta (Khmelnytskyi Oblast) and Olefirivka Village (Myrhorod District of Poltava Oblast). Petro Hryhorichenko, President of Ukrainian Union of NGOs “Congress of Roma of Ukraine”, Tetiana Kurach, Project Coordinator of the International public organization “International Union”, Tetiana Muratkina, Executive Director of the Congress of National Communities of Ukraine, Olha Zhmurko, Director of the Roma Program Initiative of the International Renaissance Foundation, Zemfira Kondur, Vice-President of ICF Roma Women’s Fund “Chirikli”, Oleh Shynkarenko, UHHRU journalist, Anna Yushchenko, UHHRU lawyer, and Olena Sapozhnikova, Coordinator of the project “Dumaidan-2017: Getting Together around the Tent of Understanding”. We want to congratulate the winners and give their names. 3rd place – Olena Olifer, Mykolaiv, and Maria Rilke, Slavuta (Khmelnytskyi Oblast). 3rd place – Tetiana Haidym, Kyiv. All winners will receive valuable prizes during the award ceremony in Kyiv this July (date is to be specified).